Pixies of the Forest Pokies Slots - Have a FREE Play Here. Any player that appreciates a magical themed game with multiple paylines will benefit from a few spans of Pixies of the Forest, a video slot created by IGT. This game is quite popular at land based casinos and it can be played online for real money bets or for free. With this game, players will have the ability to bet on 99 paylines and will enjoy the magical actions of the pixies. The attractive thing about the game is that Tumbling Reels are in play. Instead of having standard spinning reels, the symbols fall from the top of the screen. When a wining combination occurs, those symbols are replaced by new symbols, offering the chance to get multiple payouts in a single spin. Give Pixies of the Forest slots a FREE Spin Below. There are some magical symbols that are used in the game and all of the graphics have been designed to deliver an optimal visual experience. The game is bright and appealing and there are some great animations that occur when there are winning combinations. The reels are full of different pixie characters along with standard playing card symbols. There are also wild and bonus symbols that are used. When playing Pixies of the Forest, there is a feature called the Connected Lines Feature. Seeing as there are 99 paylines, it can be a bit costly for many players. So instead of having to bet on all 99 lines, the bet for the game is just 33 credits for all lines to be active. The supported coin sizes range from $0.01 to $5 and there is a maximum bet of $165 per spin. Though no progressive is offered, there is a handsome base game fixed jackpot offering 2000 coins. More can be won during the free spin round as well. The highlight of the game is the bonus round, which is triggered by getting three Bonus icons on any active payline. The free spin round will immediately trigger and players will see Choose symbols on the reels. They will then select one of the symbols to reveal the number of free spins, which can range from 5 to 11. There are also added wilds that are in play during the bonus round. Unlike many other pokies from IGT, this game does not allow for the bonus feature to be retriggered. Overall, this is a fun game to play, though it will not make players rich. The game does have a lower RTP of around 95%, but for low rollers, this game can be exciting and can offer some nice payouts with the bonus feature. 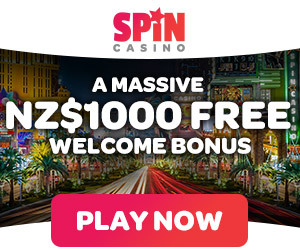 It does have an attractive theme and a nice visual presentation, but with the lack of a second bonus, the inability to retrigger free spins and no huge paying jackpot, a number of players will pass on this slot machine and choose one with better payout rates. But anyway try the free version on our site for a little fun! Google + Profile: Tina Lim on April 9, 2015. on August 21, 2016.